We started line-drying our clothes in the middle of May. Faithfully, we have hung 90% (or more) of our clothes! At this same time, we made another small change. We set our AC at 76 degrees instead of 70. I’ve been anxiously waiting for our power, and gas bills to come……hoping for some change in the numbers. Not so much for money sake, but to prove that doing these things is making some difference…that we really are saving power, gas, and lessening our carbon footprint. The Good News is that our gas usage was down noticably, and our electricity usage was the lowest it has been in 3 years (as far back as the records go)!!!!! 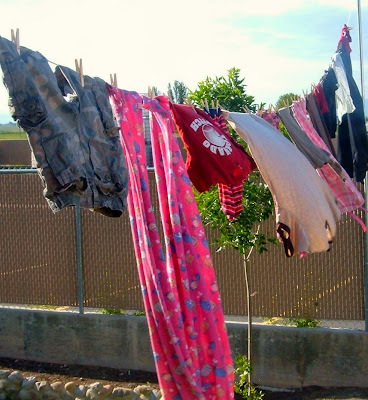 Money-wise we saved $40-$50…….enough to pay for the clothesline, pulleys, and clothespins! And that was just MAY!! We have been drying our clothes all of June!! Can’t wait to see the numbers! In other news! 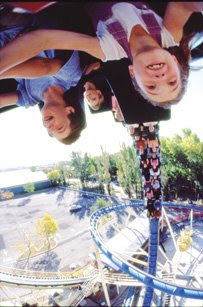 I chickened out of going on the Rocket, but my son forced me to go on the Colossus instead. It was the last ride of our day. We screamed “Colton”! I didn’t upchuck either…..it was really close though…ugh! Ahhhhhh! 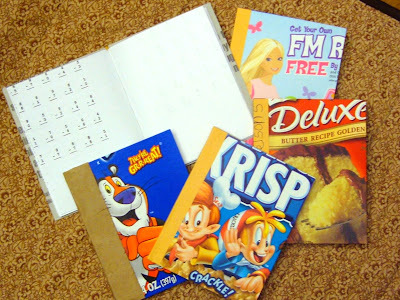 It wasn’t very long ago that I got that really great deal on cereal. You know, the one where I bought about 40 boxes……..twice!! 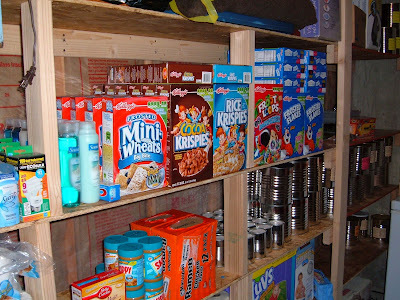 Surprisingly, it doesn’t take us very long to eat that much cereal!!! It seemed like we were going through 10 boxes a week, maybe more, and I started having guilt. Guilt for being such a consumer, for creating so many consumers, and for creating so much garbage! So, I started saving them. 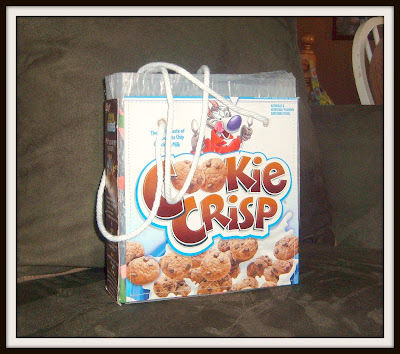 I saved the boxes, and the plastic liners too….not sure what I was going to do with it all. Photojojo gave me the idea, and the cool video tutorial, of how to make scrap paper journals. 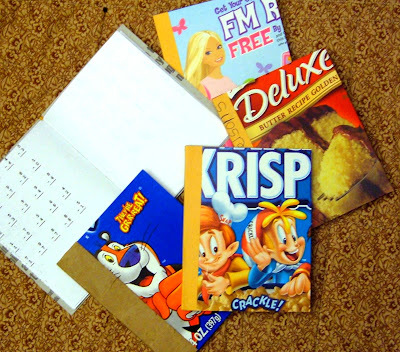 She uses pictures for the outside covers…I used cereal boxes!!! My kids love having their own notebooks that they can use as they please. I have made TONS of these with DH’s scrap paper from work. FREE FUN FOR EVERYONE!! The plastic liners have been taunting me for weeks…sitting there in the drawer…wasting precious kitchen storage space and stuff….so, I decided that this is the week that I finally do something about them, and the hundreds of plastic grocery bags that I have stuffed into my little recycle bag. 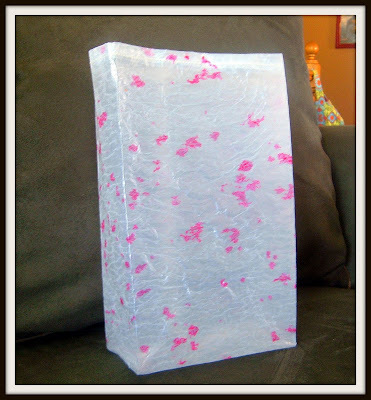 This first project uses fused plastic as the main fabric. It is really easy to do too. 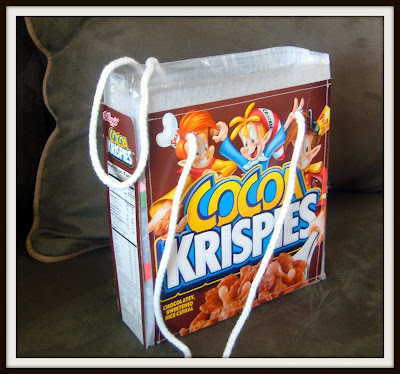 You don’t have to use cereal bag like I have, you can use the grocery bags. I think you’ll probably have to use more layers though. 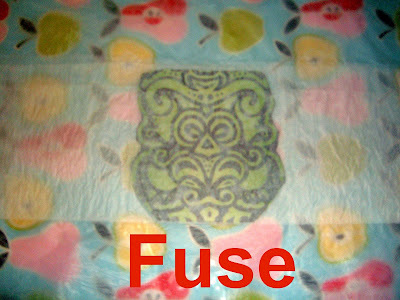 Etsy has a good fusing tutorial here. These are the little lovelies I created last night. They are tea light lanterns/covers, or whatever you want to call them. 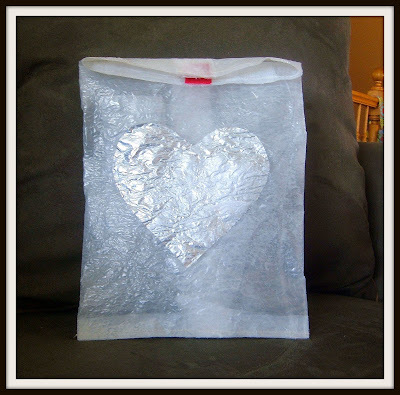 Materials: plastic to fuse, wax paper, embellishments, glue gun, iron and ironing board. Step 1- get your liner, and open all of the sealed ends. Lay it out flat, then fold it in half. 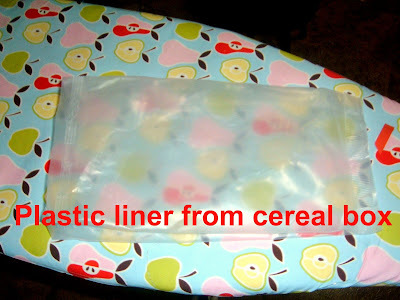 Step 2- Decide what you are going to fuse inside the plastic. I cut out a design from some fabric. you can also use paper. 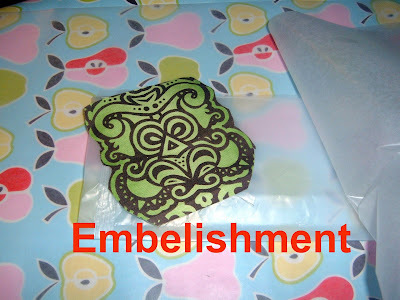 Step 3- Fold your plastic in half again sandwiching your embellishment between layers. 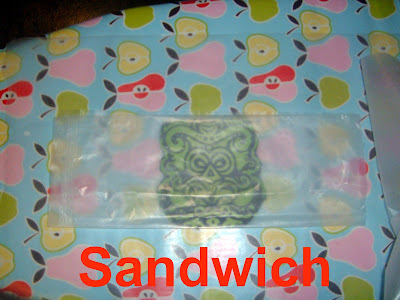 Lay sandwich on waxed paper, then cover with waxed paper. Step 4- Fuse with hot iron. This takes less time than you think, so keep checking. Step 5- Let it cool for a few seconds, then take waxed paper off. I have found that if you remove it while it is still warm it comes off better. Step 6- decide what shape you want it to be. It creases pretty well when you make squares. Hot glue the seams together, put a tea light in it, and you are done!! I think they turned out pretty cool! Thanks Sweetie! Now I can stop FAIL-ing the Clothesline Challenge! 100% of Fridays laundry was dried in the cool breeze. I joined Gift of Green’s Clothesline Challenge 2008 today. I am a little late, as it started on May 1st…but better late than pregnant ……. Lego hair and I have been talking about doing this for a while now. Way back in our early years together, when we were more po, we line dried all of our clothes. We learned to love crunchy sheets, and found that scratchy towels are more absorbant…..and keep your skin exfoliated! Of course, at that time it was just the two of us so it wasn’t really that hard to do. Now it is the eight of us (still po)! I have found that I have to do at least 3 loads of wash a day or the laundry takes over the house! Head on over and sign up for the challenge. It’ll be fun to see everyone air their Clean laundry for once. And we can do a little something for the Earth while we are at it!! !